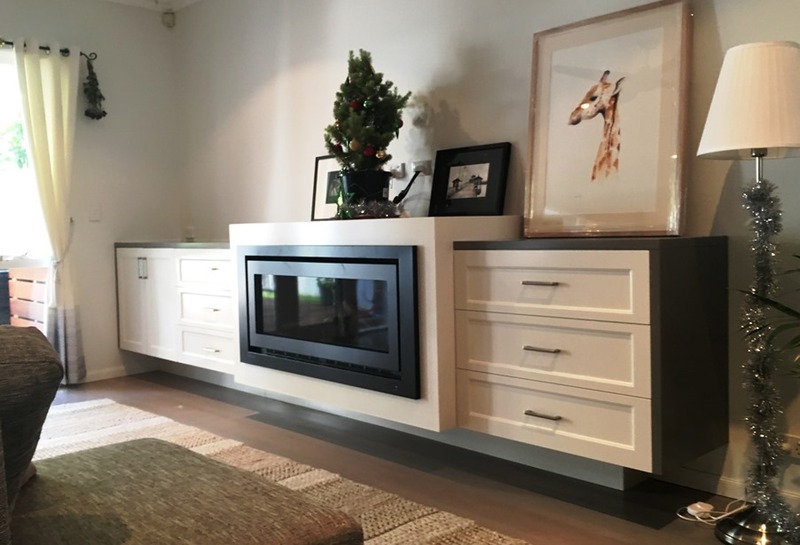 Working with Carter West Cabinets, we jointly designed a semi-floating installation with the flue concealed behind the drawers on the left hand side. The flue is even offset to give the required external clearances. You’d never know! Out with the old… In with the new! Old space heater upgraded for a new Rinnai Sapphire. Hardwiring still to be done but customer over the moon! Customer was sick & tired of chopping wood & cleaning the wood fire. 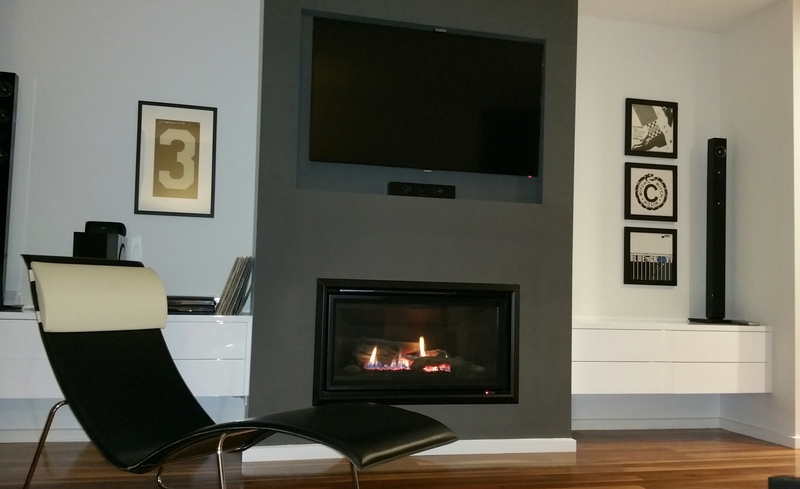 Simple solution… A Rinnai Sapphire Gas Log Fire with a custom-made black steel surround inserted into open cavity. Very happy indeed! 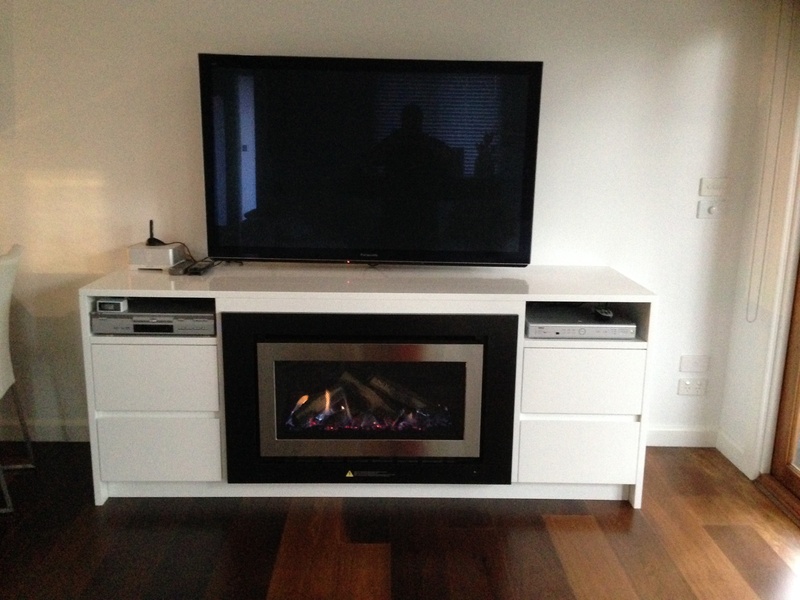 Here we replaced a new gas log fire in a new home that wasn’t heating with a Rinnai Symmetry. We had to literally cut out the old heater, reframe and replaster. Looks like it was always there and customer cosy warm! Customer was heating a new home with electric. Wanted gas heating and others said it couldn’t be done! Enter Flaming MO’s – Purpose built cabinet with rear flue thru to a garage with a vertical flue termination. Very very happy customer! Customer has no walls to install a fire – yet alone flue it. 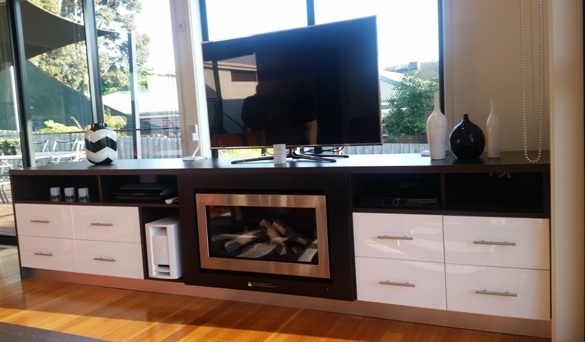 Solution… Installation into a purpose built entertainment unit with a sideways flue running behind the drawers. Thanks also to Carter West Cabinets. Another FMO happy customer! Copyright 2016 Flaming MO's Pty Ltd. All Rights Reserved.